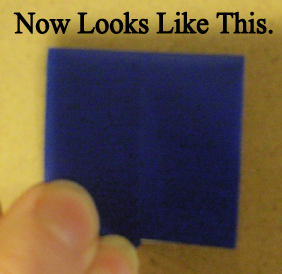 Check out or other Hanukkah Crafts. 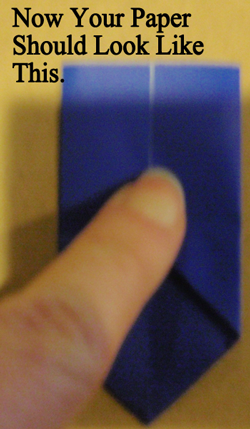 Pick the color Origami paper that you want your dreidel to be. Then turn it over to the white side…. like above. 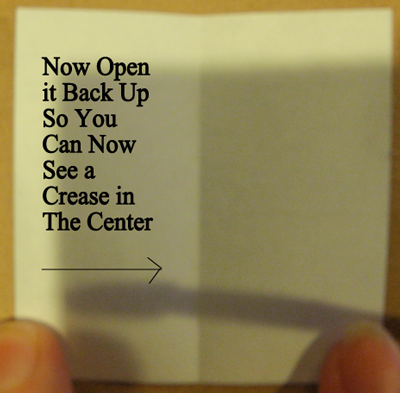 Now, open it back up so you can now see a crease in the center. 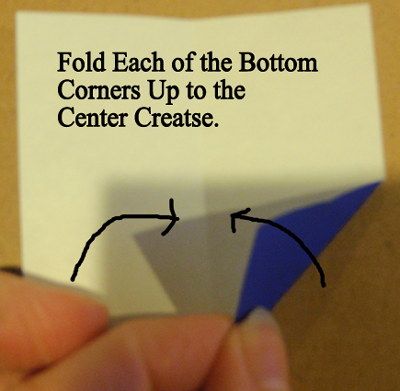 Fold each of the bottom corners up to the center crease. 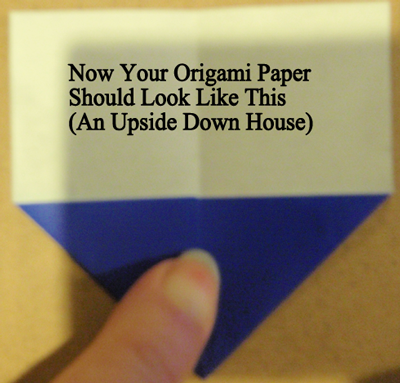 Now, your Origami paper should look like this (an upside down house). 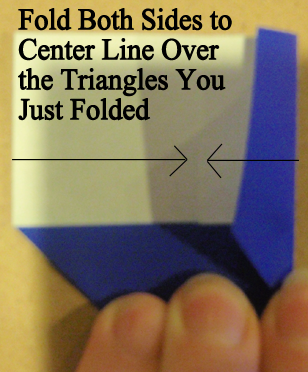 Fold both sides to center line over the triangles you just folded. Now your paper should look like this. 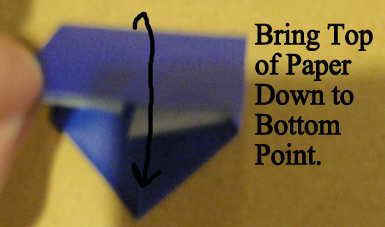 Bring top of paper down to bottom point. 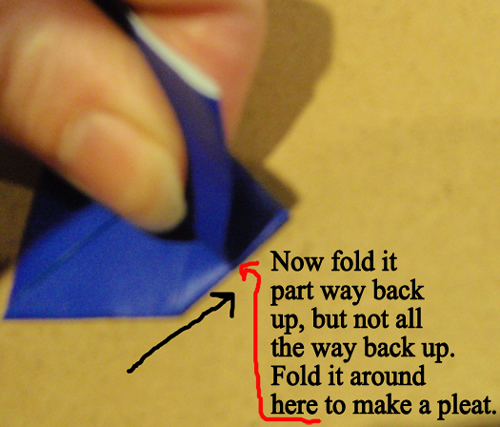 Now, fold it part way back up, but not all the way back up. 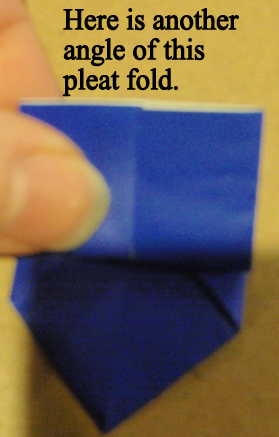 Fold it where marked above to make a pleat. Here is another angle of this pleat fold. This is really difficult to show you how to do. 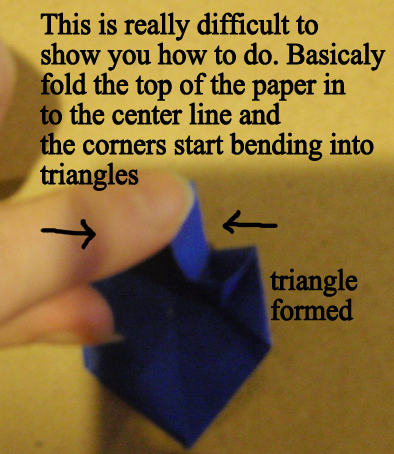 Basically, fold the top of the paper in to the center line and the corners start bending into triangles. 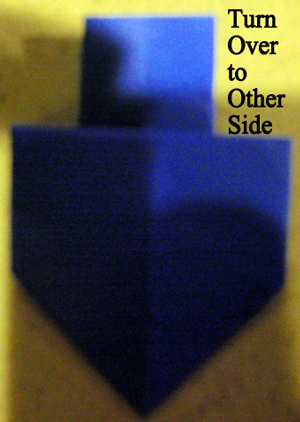 Turn over to the other side. 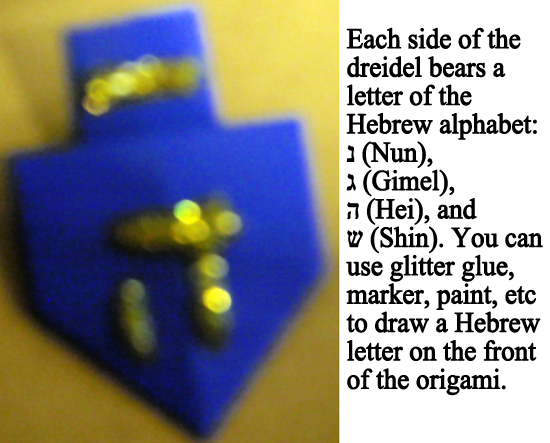 Each side of the dreidel bears a letter of the Hebrew alphabet: Nun, Gimel, Hei and Shin (the Hebrew letters are shown in image above). 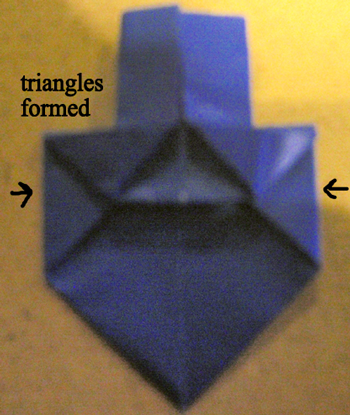 You can use glitter glue, marker or paint to draw a Hebrew letter on the front of the Origami. The dreidel is beautiful isn’t it? 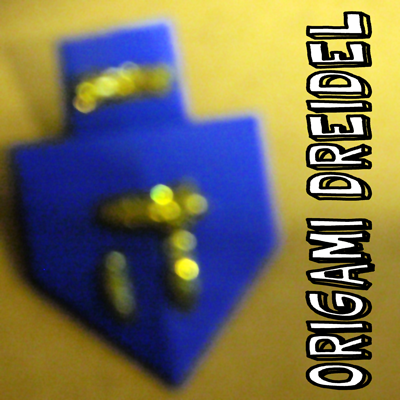 How did your dreidel turn out? 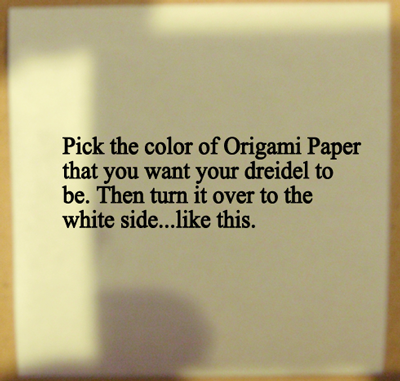 What color did you make your dreidel? Let me know in the comments below. 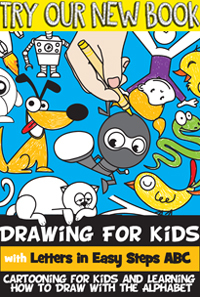 And, take a picture and share it with us as well…. 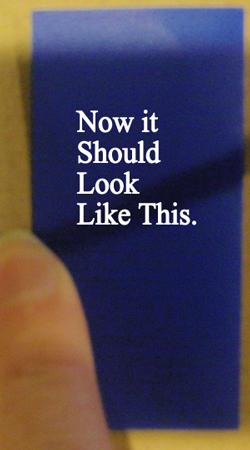 we’d love to see it.